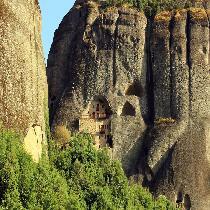 Take this comprehensive half day morning Tour in Meteora and discover the astonishing Meteora through the eyes and the narrative of the locals. 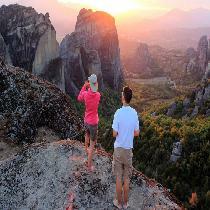 When all the masses of tourists are long gone, join an amazing sunset tour that undoubtedly will be the highlight of your entire Meteora visit. We are fully committed to eco-tourism with respect for the environment and the local traditions. 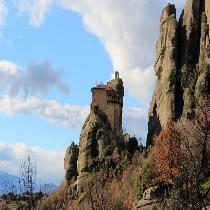 Join this amazing guided hiking tour and walk among the gigantic rock pillars of Meteora to enjoy truly breathtaking views. 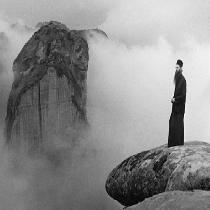 Beauty, peace, exhilaration – only a few of the many words that try to capture the atmosphere of Meteora! 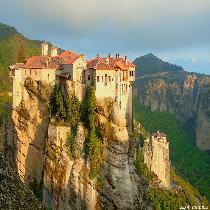 A magnificent World Heritage Site available for exploration with just one click! 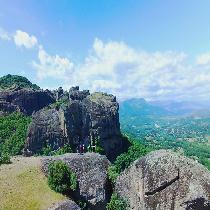 Book now this ultimate hiking and scramble adventure of Great Saint, an awe-inspiring tour that will surely boost your adrenaline!